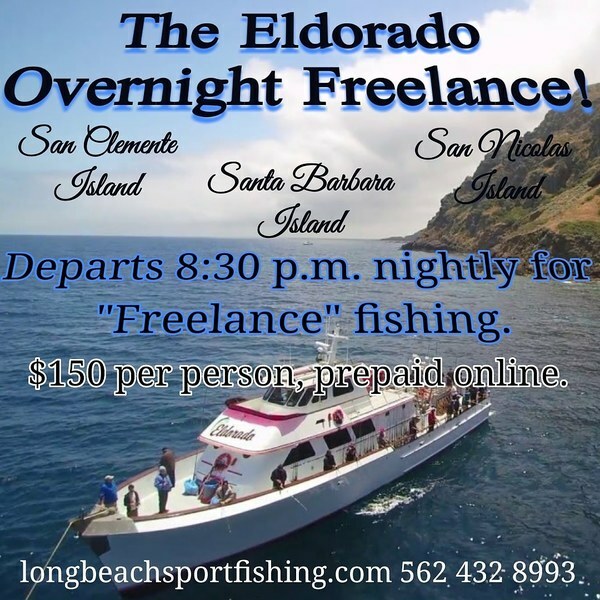 The Eldorado is online nightly, departing at 830 pm, for overnight fishing. The cost is $170 per person, prepaid online. 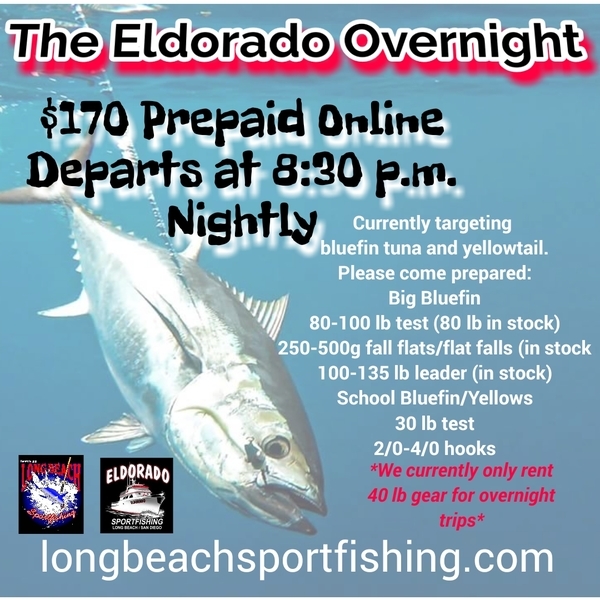 Currently, they are targeting bluefin tuna and yellowtail.